In the time of Nabi Musa (as), the Ahd, Covenant, was the Ark of the Covenant, because everything was an imitation for the arrival of Sayyidina Muhammad (sallallahu `alayhi wa sallam). So they had the Tablets and they put it in a Box and the four angels held the Box and everywhere they moved they were victorious. That was symbolic of the Divine Presence at the maqaam for Sayyidina Musa (`alayhi ‘s-salaam). 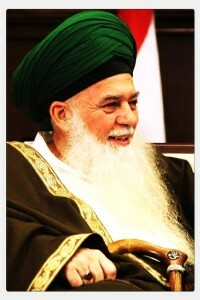 The greatness of Sayyidina Muhammad (sallallahu `alayhi wa sallam) is that he is the custodian of all realities. Means when he (sallallahu `alayhi wa sallam) arrived upon Earth, the real Covenant, the real Ahad of Allah (Azza wa Jal) opened upon Earth. That is the heart of the believer. This is the Covenant that Prophet (sallallahu `alayhi wa sallam) brought. Allah (Azza wa Jal) says: I am not in Heaven, I am not on Earth, I am not in that Box, I am not anywhere but I am in the heart of My Believer. 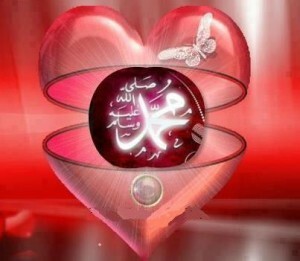 Allah’s only believer who arrived upon Earth is Sayyidina Muhammad (sallallahu `alayhi wa sallam). The only believer which Allah (Azza wa Jal) looks to is Sayyidina Muhammad (sallallahu `alayhi wa sallam). Sayyidina Muhammad (sallallahu `alayhi wa sallam) looks to all Creation. Allah (Azza wa Jal)’s nazar is only upon Sayyidina Muhammad (sallallahu `alayhi wa sallam). 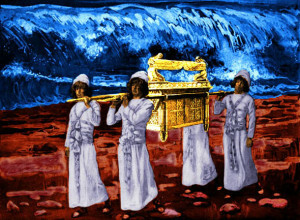 They don’t have to look for a Box, they don’t need angels to carry a Box for them to be victorious in battle. Where now that is what they are looking for; they are going to try to tear apart Masjid al-Aqsa to get to the Covenant, to get to their Box. They believe with that Box they should be victorious. But with the arrival of Sayyidina Muhammad (sallallahu `alayhi wa sallam) that Box was negated. What is victorious is the heart of the believer! 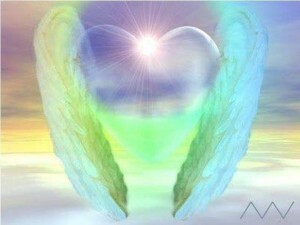 That is why when we study this [Levels of the Heart] and go into its teachings, these are the angels that are guarding. Sayyidina Jibreel (First Station Qalb), Sayyidina Mikhail (Second Station Sir), Sayyidina Izrael (Third Station Sir o Sir), Sayyidina Israfil (Fourth Station Khafa). And then Sayyidina Malik (as) (Fifth Station Akhfa) is at the center and the guardian, the enforcer for all of the lataaif /stations. For if anything should open of this heart, the guardians of Hell, Sayyidina Malik (as) should be guarding that servant. It means they use Sayyidina Malik (Azza wa Jal) as a dragon that is upon them, a guardian for their presence on Earth. Otherwise these realities that open upon Earth, the shayateen would have destroyed them. It is a description for a reality that Allah (Azza wa Jal) has been given to them, that: they are the custodians of the reality of the Holy Qur’an within their heart. 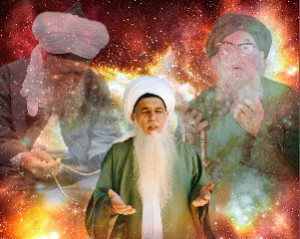 We pray that Allah (Azza wa Jal) keeps them amongst us, and alhamdulillah Sultan al-Awliya Mawlana Shaykh AbdAllah Fa’iz ad-Daghestani, Sultan al-Awliya Mawlana Shaykh Muhammad Nazim Adil al-Haqqani and Sultan al-Awliya Mawlana Shaykh Hisham Kabbani. 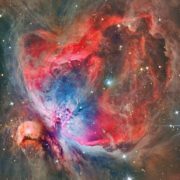 They are the custodians of that reality upon Earth, which is far greater than any Tariqah, and the names of Tariqas, which mean nothing anymore. The names of all Tariqas are going to vanish. All that matters is to be “Muhammadiyoon”. Sayyidina Mahdi (`alayhi ‘s-salaam)’s arrival upon Earth is very close, very, very close. Many many Signs are moving very quickly upon Earth. Sayyidina Mahdi (Azza wa Jal) does not follow any ones name and all names must follow Sayyidina Mahdi (`alayhi ‘s-salaam). He is the Muhammadan representative and the Muhammadan Way. We pray that Allah (Azza wa Jal) gives us life to see those days and prepares our hearts for the arrival of Sayyidina Mahdi (as). We pray that Allah (Azza wa Jal) keeps us under the flag of Sayyidina Mahdi (`alayhi ‘s-salaam), the seven wazirs of Sayyidina Mahdi (`alayhi ‘s-salaam), the Khulafa of Sayyidina Mahdi (`alayhi ‘s-salaam) and the Nawab of Sayyidina Mahdi (`alayhi ‘s-salaam). For our focus to be on what is real, and keep the company of those who are real. They [Awliyaullah] are fragranced from the presence of Sayyidina Muhammad (sallallahu `alayhi wa sallam). 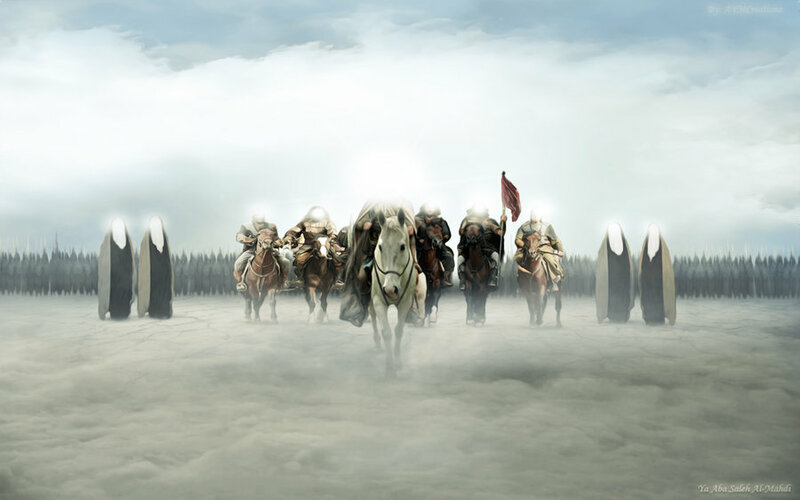 They are fragranced from the lights of Sayyidina Muhammad (sallallahu `alayhi wa sallam) and their entire nazar (gaze) is upon Sayyidina Muhammad (sallallahu `alayhi wa sallam). Awliyaullah’s (saints) whole tafakkur, contemplation, is to always be present in the presence of Sayyidina Muhammad (sallallahu `alayhi wa sallam)! If for a moment Prophet (sallallahu `alayhi wa sallam) should turn away from them, it would be better to be dead, that something must be wrong, and Prophet (sallallahu `alayhi wa sallam) must be upset. 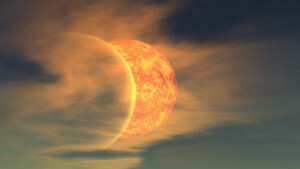 It means then, it gives us an understanding that those types of souls only focus on the ‘Sun’. So if you were to talk to the Moon, the Moon doesn’t talk about Saturn, and Jupiter, it only knows what Allah (Azza wa Jal) wants it to know. It means it focuses on the Sun, it focuses on the Muhammadan Reality. It focuses on the love of Sayyidina Muhammad (sallallahu `alayhi wa sallam), on how to achieve the love of Sayyidina Muhammad (sallallahu `alayhi wa sallam) so that we can achieve Allah (Azza wa Jal)’s satisfaction. So to be dressed by that light, be blessed by that light and as a result of that light and blessings then you should be a reflection of that light because anything you focus on should be focusing on you. So means if the focus is sincere, and the focus is towards Sayyidina Muhammad (sallallahu `alayhi wa sallam) then those beatific lights begin to dress the believer; the Sunnah of Prophet (sallallahu alayhi wa sallam) begin to dress the believer, the eloquence of speech and softness of character begins to dress the believer. We pray that Allah (Azza wa Jal) dresses us and blesses us from these holy lights and allows us to reach that Covenant. And to take the steps necessary in which to open the heart and that is only through tafakkur, contemplation. Nothing in had ad-dunya is going to open those realities. This (opening) is from the Malakoot. And in days of difficulty the believers will go underground. The underground which is the reality of the Cave, is that they find no safety above on the surface of the world, the only safety they have is through their tafakkur. 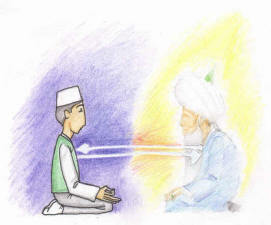 By training on your tafakkur, contemplation, it becomes your life line. When you understand your life line and who is sending you support, you don’t look left or right. Everything else is a distraction and many things can come into our life that will cut that life line. So it means by being from Ahl at-Tafakkur, they are guarding that life line with all their being. It means they sit and contemplate, train on how to negate themselves, and by negating themselves they are asking for the madad (support). 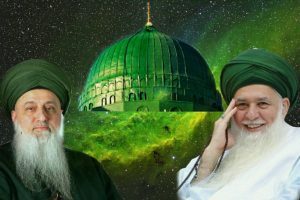 They are asking for the support of Mawlana Shaykh Hisham Kabbani, the most powerful Awliyaullah (saint) on this Earth right now, where he carries the entire Earth beyond what we can imagine with our imagination. The heart doesn’t light by the brain, the heart can only light from Ibad ar-Rahmaan where Allah (Azza wa Jal) says: whom We granted a light, We granted a light, whom We didn’t give no light, they have no light. What He is talking from is the Ibad ar Rahmaan that they are custodians of a very specific light. By keeping their company, and by keeping their practices they are able to light the student, through their tafakkur, and contemplation, they will be trained to carry the light, carry the light. If they (students) are able to keep themselves clean in that process then the permission comes from Prophet (sallallahu `alayhi wa sallam) and the heart will be lit. It means it will become the initial stage of a sun.